Everyone and their brother, plus their in-laws, ex-girlfriends and college roommates have talked about the household binder. For me, there’s little I find more satisfying than an organizing project. So after I got sick of looking at my important papers stacked on the table, I tackled this binder. This is a relatively quick and oh so terribly satisfying way to consolidate your family’s business and feel organized and in charge in the process. 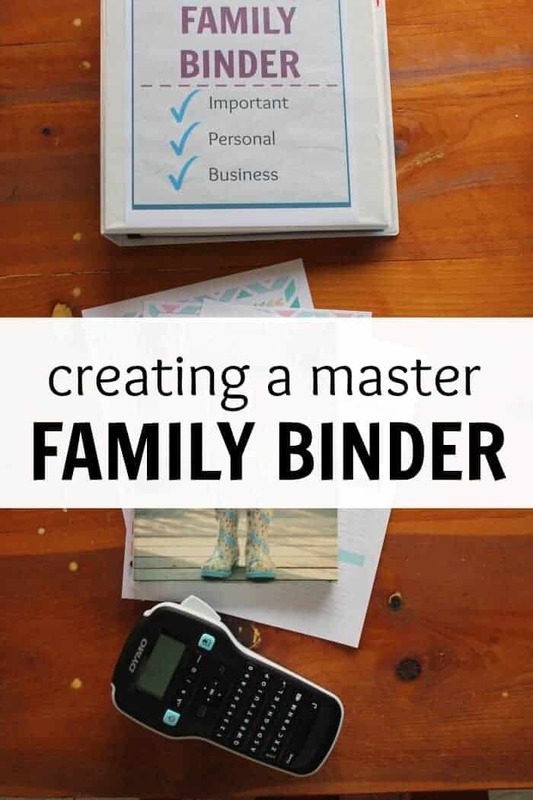 There are many ways to go about it, but I wanted our binder to be a quick reference guide with copies (not originals) that could be referred to quickly for any and all important family information. (1) Husband and wife are on the same page. Often, the family member who does the bills or finances is way more in the loop than the other spouse. If you pay the bills, does your husband know who the service providers are? If so, does he know the account or policy numbers? If your husband takes care of this information, do you? I do the household administration in our family, as admin is my strength. My husband keeps in the loop as much as possible but doesn’t necessarily know the days the direct debits come out or our account numbers without digging through files. This way, I’ve created a tab for our various bills and accounts so if either of us need to know a number in a flash, we can flip to it quickly. It prevents one spouse from feeling in the dark or not being able to answer important questions because the other spouse isn’t home. (2) You’ll have your accounts in order in case of a theft or lost wallet, etc. If you lost your wallet tomorrow would you even know who to begin calling after the DMV and the bank? 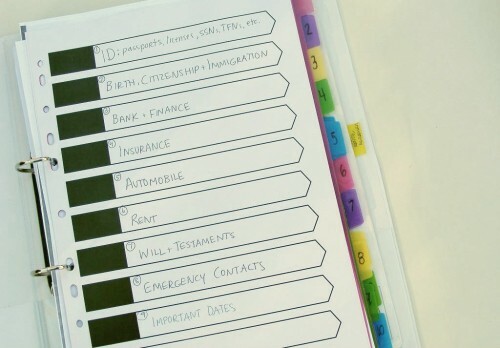 If you keep a section in your binder with photocopies of your wallet’s contents you’ll be able to quickly get your affairs in order and will have all the information in one place. (3) Great place for things pertaining to children’s school and activities. With permission slips, field trips, menus and school fees on the mind, this is a great place to keep it all together. 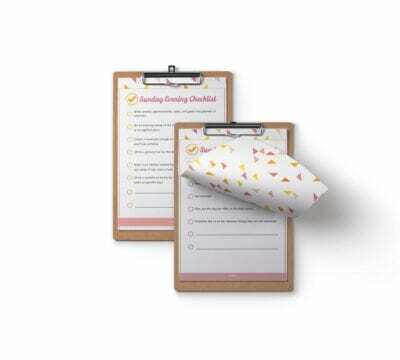 If the family binder is central and you visit it regularly, you’ll know what’s happening when and what you need to do for things to flow smoothly. You might include coaches’ names, numbers, class syllabi, etc. in the appropriate file. What to keep in your family binder? Note, I keep copies of all these things, not originals. Where possible I keep originals in a filing cabinet, and this for a quick reference or in case I need a lot of personal information at once. This isn’t to be used as a filing cabinet, per se, but as a place to store important info in snippets. All in all, this shouldn’t take longer than an evening or two to compile since it’s only copies of documents you already have or it’s simply filing papers that have been kept in different areas. 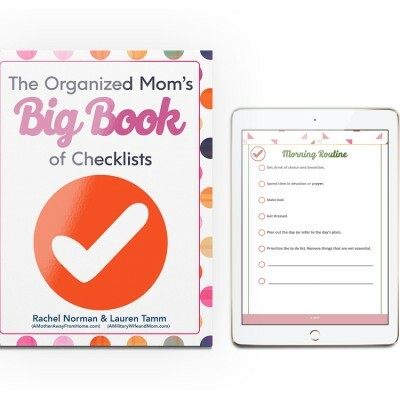 But believe me, after it’s put together you’ll feel like you could be the President of the United States’ secretary for how organized and efficient you are. It’s a good feeling and one both your husband and children will benefit from as well. Do you have a binder? What do you keep in it? Household binders are so fun! Getting things like this organized takes a little effort, but it is so worth it in terms of peace of mind! It feels like getting rid of mental clutter to have important information saved safely in one place. The same goes for online accounts and passwords. Yes, I’m slowly filling in my username and password thing too. I feel so much better when things are pared down and organized.